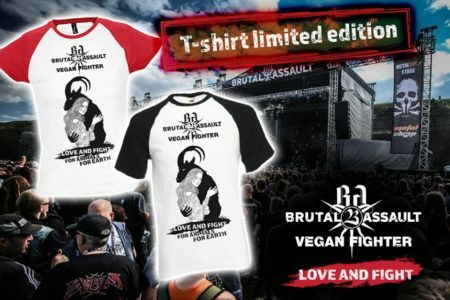 Limitovaná edice triček festivalu Brutal Assault a Vegan Fighter. Love and Fight. For Animals.